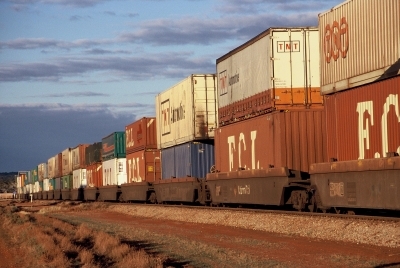 The Federal Government is set to start a study on the rail freight movements across the Adelaide region, in a move to create a better functioning rail network. Federal Infrastructure Minister Anthony Albanese said: “We’ve set aside $3 million to undertake and complete the study into how Adelaide’s freight rail network can be made to work better, including assessing the feasibility of relocating the city’s main freight rail line north of the Adelaide Hills. The focus of the study includes current and future freight rail movements to and through Adelaide, capacity of existing rail line to meet these demands and cost-effective options to ensure the future demands for rail freight. Mr Albanese said the study would also analyse impact of the current rail line on the surrounding communities. “We are responding to the concerns that have been raised by the local community about noise, safety and congestion issues surrounding the current rail line through Adelaide,” he said. The study’s reference group comprises Mitcham Council, the Local Government Association of South Australia, the Australian Rail Track Corporation and the Freight Rail Operators Group. A discussion paper outlining available options is expected to be released in May 2009.